John Maher: Hi, I’m John Maher, and I’m here with Jeff Bowersox of Bowersox Law. Jeff is an attorney with special expertise in defective products and medical devices. Today, we’re talking about the Stryker Rejuvenate and ABG II multi‑district litigation. Welcome, Jeff. Jeff Bowersox: Hi, John. Thanks for asking me to participate. John: Sure. Jeff, what is the Stryker hip replacement multi‑district litigation, or MDL, as it relates to Rejuvenate and ABG II? Is this a class action? Jeff: Excellent question, John. The short answer is no, it’s not a class action. It’s important for clients to know that they can have an individual lawsuit and still have some very significant benefits that are conferred upon them by participating in the multi‑district litigation, or “MDL,” as it’s called, yet not be in a class action. Let me explain in a little more detail what I mean. Class actions were designed by Congress and the Court to correct a problem that we’ve all experienced, and that is it’s expensive to participate in a lawsuit. It just is. It’s expensive to go to the doctor. It’s expensive to have a plumber. It’s expensive to go to a lawyer, to get your car fixed. When there’s an individual problem that you have and you’re the only one with that problem, people pretty much have to start from scratch and solve your problem alone. A class action was designed to solve the problem of what if a whole a bunch of people have the same problem, and it’s really not a serious, big problem. Let’s say, for example, you go into Home Depot or Lowe’s. “Yeah, but it’s a good thing. Let’s go ahead. It’s good for the environment. Plus, look right here. It says they’re guaranteed to last for 10 years.” You spring for the 25 bucks. You take your light bulbs home. You replace all the bulbs. You’re feeling very good about it. Six months later, every one of those bulbs is burned out. You’re annoyed. It’s 25 bucks that should not have been spent. It’s money down the drain. You thought you were doing a good thing for the environment. You thought you were doing a good thing for the environment. You thought you were doing a good thing for yourself by spending a little more money up front and you’d have these light bulbs that were going to last 10 years and would use less energy. What are you going to do about that? Are you going to go hire a lawyer? You go hire a lawyer, what’s it going to cost you? A couple hundred bucks an hour? That’s just not feasible. Somebody got mad enough and they went to a lawyer and they said, this isn’t fair. This big company is manufacturing these light bulbs. They’re selling them all over the country. Guys like me are buying these light bulbs, and they’re wasting 25 bucks. It’s not fair. Why should this company get away with it? The lawyer looks at it and says, I’ll tell you what. Congress passed a law to protect consumers, and it allows us to bring a class action. A class action is a whole bunch of people who suffered the same harm, which is, in this case, buying defective light bulbs that last 6 months instead of 10 years and cost 25 bucks instead of 5 bucks. You suffered 20 bucks harm. You can’t afford to hire a lawyer for that, but if everybody bands together in a class action, and if your injury is very simple and it’s purely economic, it’s 20 bucks, then a class action makes sense. Everybody doesn’t need an individual lawyer. The fact that you screwed the light bulbs into your house and you lost 20 bucks isn’t much different from the neighbor down the street or the guy across the country that did the same thing. John: They can just go and find all of the people who purchased that product over a certain period of time and just include them in the class action lawsuit, and then those people might get their money back. Jeff: Exactly. John, you open “People Magazine” and a little postcard falls out or you see an ad in the paper or somebody mails you something and says, if you are a member of such‑and‑such class and if you go online to BadLightBulbs.com and sign in, we’ll get your 20 bucks back to you. If it’s $20, you might not even think it’s worthwhile to go online or to fill out the postcard and send it back or whatever. You either do or you don’t, and that’s what a class action’s about. 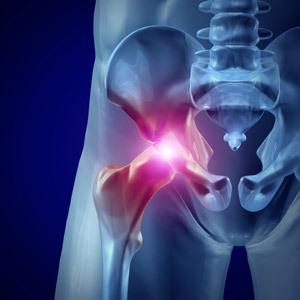 Now if you’ve had a defective hip device implanted in your body, you can immediately see, this is not a class action. You are a unique person. You’re an individual, and how you were injured as a result of a defective hip device being put into you, how your body reacts, what happens when your surgeon goes back in and takes it out, what happens in your life in terms of how your family reacts, what happens to your job, all of those things are individual and unique. Courts will not even bring class actions. They will not even allow class actions for this kind of thing. It used to happen occasionally, but it’s been stopped. The courts have said, wait. Each of these people are unique and their individual damages are unique. Yes, there are many things that are common and we can try to make things very efficient in dealing with that. An MDL says, we’re going to look at the things that are common. In this case, what’s common to everybody is, what the heck did Stryker know and when did they know it? Why did they design this device this way? Why did they sell it to people? Why didn’t they test it? Why didn’t they warn everyone sooner? All of the cases nationwide are assembled in front of Judge Donovan Frank in St. Paul, Minnesota, the Twin Cities, Minneapolis, and St. Paul. Judge Frank has picked a group of lawyers from around the country to assist in the handling of this MDL. I feel honored that Judge Frank has asked me to be a member of that plaintiff’s steering committee. I’ve been appointed to the investigation committee or discovery committee, as it’s called. I will be taking depositions, which is, I will be requiring Stryker employees to appear in front of a court reporter and give testimony under oath to answer my questions about when did they know something, why did they not do something earlier. Ultimately, if a settlement is not reached that a client who participates in the MDL is satisfied with, that client has a right to go to their own trial, to have their lawyer take the depositions that were used, that were prepared by the plaintiff’s steering committee. They are recorded on a DVD. Those are sent to your individual lawyer and you can have a trial in the federal courtroom in your own home state. We represent a lot of people in the MDL, and it is, in many ways, a very, very good environment to reduce costs, to move things along, and to put significant pressure. Everyone knows the old story about there’s strength in numbers. One person alone against a multi‑billion dollar company like Stryker doesn’t pose much of a threat. When hundreds and thousands of injured people gather together and present their individual claims in one multi‑district or MDL forum, we can have an incredible impact on Stryker. John: You talked a little bit about the judge picking these lawyers to assist with this. Is there anything else to that process of a multi‑district litigation? Jeff: There are many of the same benefits of filing an individual lawsuit. There’s some very complicated federal procedure issues, but almost always, lawsuits against Stryker Corporation will end up in federal court. If they end up in federal court, they will end up in Judge Frank’s courtroom for all pretrial purposes. That’s what an MDL takes care of is only the pretrial matters. If your case does not settle in a fashion that you’re satisfied with, you’re entitled to have your case sent back to the federal courthouse in your state and have a trial. Unless a defendant who lives in the same state as you is sued and is a defendant in your case, you’re going to end up in federal court. My firm refuses to file lawsuits against the implanting physicians. Some law firms, in order to avoid federal court, will sue their own client’s surgeon. In this case, I would not do that, because it is clear, in my opinion, and having talked to a number of surgeons and experts about this device, this is a device failure. It is a terrible design, in my opinion, and it is destined to fail in most every patient, in my opinion. It wouldn’t matter what the surgeon did, except for operate on the wrong side of your body. If he put the hip device in the wrong side, maybe you should file a lawsuit against him or her. Other than that, this is a claim against Stryker, and having your case in the MDL is probably an efficient and, long‑term, less expensive and less dangerous procedure. If you bring a case in your state court against Stryker, you have to have all of the expenses paid for that one lawsuit, just like when you call the plumber in to fix the water system in your house. He’s fixing one house, and all of his time and all of the expense associated with it has got to be charged to that one job. John: Just to clarify, participating in the MDL still allows an injured person to have an individual Stryker Rejuvenate or ABG II recall lawsuit. Jeff: Absolutely. Your lawyer can file your case in federal court and let it go into the MDL or direct that it goes into the MDL so that you can have all the benefits of the group strength against Stryker in an MDL. Yet protect you so that if, in fact, a settlement is ultimately proposed in the MDL that you don’t want to participate in, you still have the right to take your case back to your home state and have a trial in your federal court. Your lawyer should be able to do this. This is something that you need to make sure you have a lawyer who knows how to do this properly. It’s not something that’s any big surprise. Any good, competent lawyer who has experience in medical device and federal court litigation will know how to prepare your case so that you can participate in the MDL, get the benefits of it, and if it turns out that any settlement proposed is not something you want, you and your lawyer will have the right to have your case go back. It’s called remanding. At some point, Judge Frank will remand cases that are not settled to your home state federal court, and you can go forward with your trial with your own lawyer. John: Great. Jeff Bowersox, thanks very much for speaking with me today. Jeff: Pleasure, John. Thank you. John: For more information, you can visit BowersoxLaw.com, or call Jeff at 1‑800‑255‑1996.